The Dow Jones Industrial Average may have come closer than ever to clearing the historic 20,000 benchmark—within only a single point, on Friday—but even though investors were looking forward to moving on from this expectation and on to the next potential benchmark, the index slipped more than points after falling only 0.37 points from the historic high. While that is significant, it is important to note that the year has been off to a great start. This first week of 2017 saw big growth in the jobs market, though perhaps a little lighter than initially expected. Comparably, the Standard & Poor’s Index grew 0.35 percent—to approximately 2277—and the NASDAQ index grew about 0.6 percent, to 5521.1. Both reached new highs, with the S&P getting to within a single percent of its own milestone (2300). 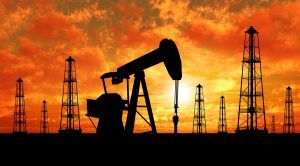 Still, 8 of the 11 major S&P sectors were down with oil prices falling 2.5 percent on the back of concern that an increase in US output could lessen the impact of the recent deal to limit output among major oil producers. On the other hand, the US tech sector showed the biggest gains. Apple, of course, led the charge, celebrating the iPhone’s tenth anniversary with a 1.1 percent bump (to $11.14) following a 13-month high of $119.30.